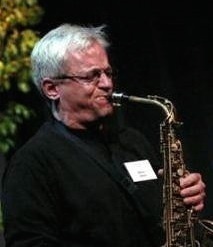 Bruce Babad can be heard with the 2006 Grammy nominated Bill Holman Band, Luther Hughes' Cannonball/Coltrane Project and the Bruce Babad Quartet, and has performed on over seventy-five commercial recordings, numerous jingles, television and movie soundtracks. Babad began playing the alto saxophone at age ten. At the age of fourteen, Bruce took first place in Michigan's State solo & ensemble contest. By tenth grade, at Hanford High School in Richland, Washington, Bruce knew that he was going to be a musician. In his senior year Babad received the Louis Armstrong Jazz Award. Bruce attended Central Washington University where he had the pleasure of backing such greats as, Dizzy Gillespie, Joe Williams, Mark Murphy, Mel Lewis and others. In 1990 Bruce and his wife Jan moved to San Diego where Bruce freelanced as a performer and educator. Bruce performed with local artists including Mike Wofford (piano), Bob Magnussen (bass), Peter Sprague (guitar), Tony Ortega (saxophone) and others. Soon, Babad's freelancing career began to blossom. He performed with blues legend Little Milton, rock-n-roll Hall of Fame artists; The Four Tops, the Temptations, the Platters, Barry Manilow, Natalie Cole and Bobby Caldwell. Bruce had become one of the most in demand saxophone players in San Diego. After the birth of their two boys, Miles and Julian, Bruce and his family moved to Long Beach where Bruce earned a masters degree in Jazz Studies at California State University. Babad completed his coursework in one year, (while continuing to work) was chosen as The Most Outstanding Graduate Student in Fine Arts and is featured in the 65th edition of Who's Who Among Students in American Universities and Colleges 1999. That same year, Babad was selected to present a paper on the writing style of Grammy award winning composer/arranger Bill Holman at the International Association of Jazz Educators national conference. In addition to teaching at Biola, Babad is the Director of Jazz Studies at Fullerton College, (Fullerton, CA).